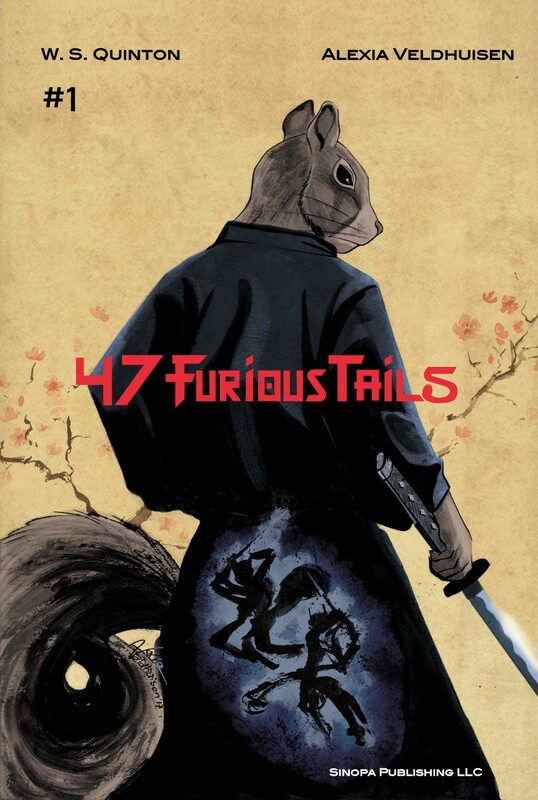 In January 2019, just a few short weeks away, I'll be launching the KickStarter campaign to fund 47 Furious Tails, Issue one. For more than a year, I've been working to get this re-launch ready. Alexia Veldhuisen has been working on art for the KickStarter campaign and we're very nearly there. The KickStarter will be launched to fund the remaining art costs, printing and fulfillment expenses (like shipping). The story unfolds over the course of 12 issues, with Issue One introducing legendary figures from this story out of history. I hope you'll check out the campaign on launch, support it if you can, and help spread the word. 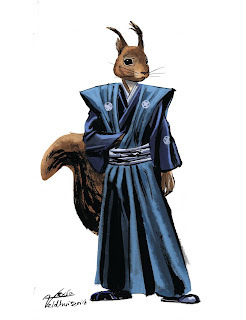 Click on Lord Asano Naganori's image below, to get a glimpse of the character art and learn more about the story. Back in October, while the Whispers of Persephone KickStarter was running, I came up with an idea for a holiday themed RPG book detailing useful and fun magic items. Zack Viola liked the idea, and so he launched the KickStarter campaign for the book last night. While I'm finishing up Whispers for fulfillment, Zack is going to be running the campaign for the Holiday magic item book. It will be good for him to learn the creator applications on KickStarter for his future endeavors. This project is something of an oddity, in that we launched the campaign to fund our marginal costs but we wanted to keep the campaign simple and the pledge level low. We hit upon the idea of having only one backer tier and keeping the rewards as digital only for simplicity sake. We didn't promote this campaign much before launch but we've seen several people sharing links for us on social media platforms. As of this writing, the campaign is less than twelve hours old and hasn't yet funded. With six days left in this short campaign I'm optimistic that we'll reach our goal. Normally, I wait to fulfill campaigns until after the money comes in from Kickstarter. This is due, in large part, because I usually need to use that money to pay for printing costs and shipping. With this campaign, where are rewards are digital, fulfillment will begin Christmas Eve night after the backer survey goes out. PDF files will be sent out starting that evening, and the print on demand codes will go out once they are available from drivethrurpg.com. Running a campaign like this, where you are collaborating with someone you work well with, is a lot of fun. This project benefits from having little stress on either Zack or I and is a fun holiday project. If you decide to run a campaign like this yourself, I recommend far more advance promotion that Zack and I did, as we limited ours to a few social media blurbs and reached out to some bloggers and podcasters we know. Give yourself a couple of weeks ahead of launch to build interest. Here's to one last KickStarter campaign for 2018! Now, I'm going to get back to work finishing up the things I've left to do for Whispers of Persephone. Backers are getting that book this month and I've still a few things to take care of. Check out Santa Dragon Claws Presents at the link below. Happy holidays to you all!